Home » Entertainment » MJ’s Doctor Missing ? 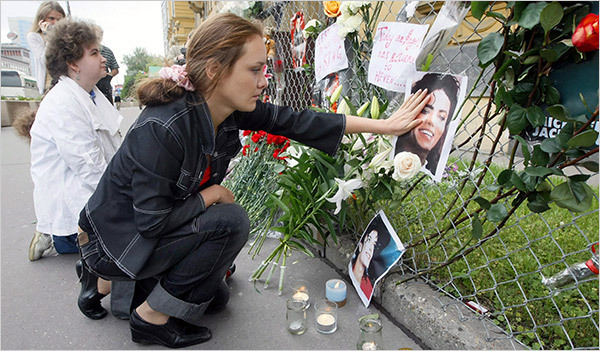 The sudden death of the King Of Pop has sent shock waves around the world. The Los Angeles police have already started investigating the nature of the death of Michael Jackson. The police were unable to contact Michael Jackson’s personal doctor whose name was not disclosed by the police. The police have impounded the doctor’s car and the doctor has not yet made any contact to recover his car. It is reported that Michael Jackson died just minutes after the doctor injected a pain killer after Mr.Jackson suffered a cardiac arrest. “We need to conduct further interviews and the car might contain medications or other evidence that could assist the coroner,” Amanda Betat, a Los Angeles Police spokeswoman said. Ms. Betat said that the doctor, whose name the police department did not release, “has not come to claim his vehicle.” She said that detectives spoke with the doctor briefly on Thursday about the pop singer before taking his car. Previous: Pop Legend Michael Jackson dead!! !